If you’re using Pinterest you might want to take a look at this site called, Friendsheet. 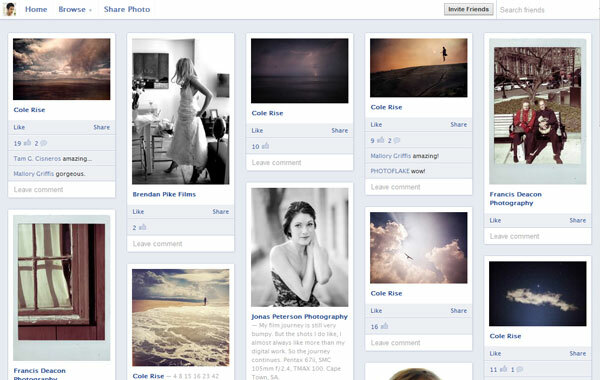 Friendsheet is a new way to browse your friends photos posted in Facebook just like Pinterest. To use it, you only have to login with your Facebook account. 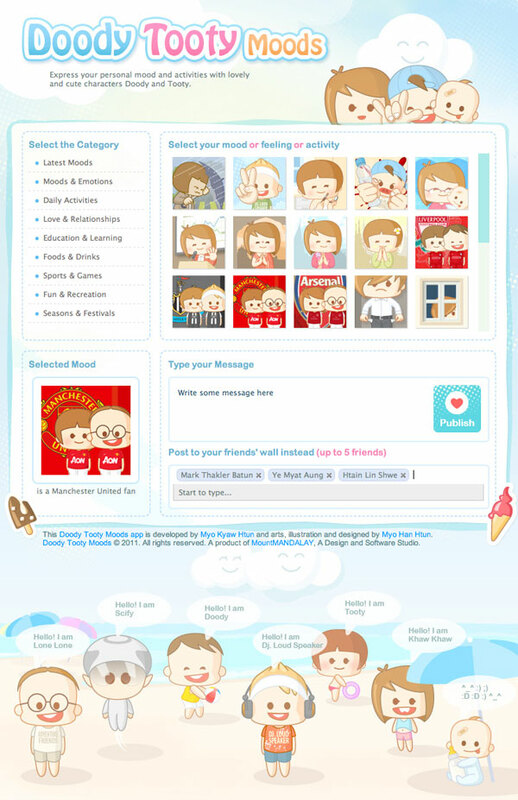 If you personally prefer to look at the photo updates only from your friends, you should definitely use this Friendsheet. Zootool is another online bookmarking tools with social features. You can boomark the links, images, videos as private or public. Zootool automatically grabs snapshot of the url that you shared. You can create the packs in Zootool to organize your bookmarks simply by its drag and drop feature. Doody Tooty is an another mood sharing Facebook App that allows you to choose moods, characters, activities and share with your friends in Facebook. Doody Tooty moods has different categories from daily activities to sport fans. It also allows you to post your moods and activities directly to your friends wall. 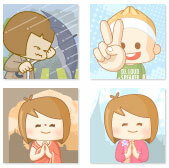 You can also request your favorite mood at Doody Tooty mood fan page on Facebook. Your message will be appear on your wall. Entanglement is a path creation game developed by Gopherwood studios. In that game, you’re creating the path as long as you can until you filled up all the hexagon. You can swap with the another hexagon, and rotate left and right in order to avoid hitting the edge. It is HTML5 game so that your browser must support HTML5. Latest Chrome, Firefox, and Safari browsers can run Entanglement. 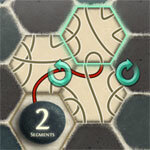 You can watch the video tutorial how to play Entanglement on YouTube if you need help. 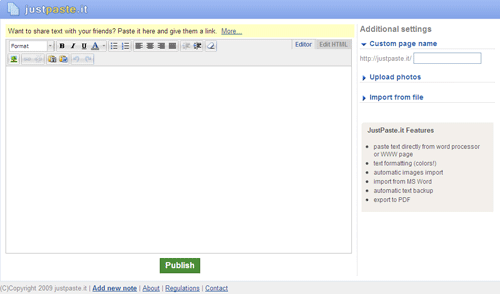 JustPaste.it is a online web app allows you to share rich text using shortening url with your friends. It has rich HTML editor and you can also add photos and import documents like doc, rtf and odt. It will give you shortened link (http://justepaste.it/abcd) after you publish. Wibiya has Google and local search (your blog search) and results are shown in your site, your site content is still remain. For translation, Wibiya uses Google translate and Recent posts shows the latest posts with thumbnail. Random let your visitors to browse your posts randomly. 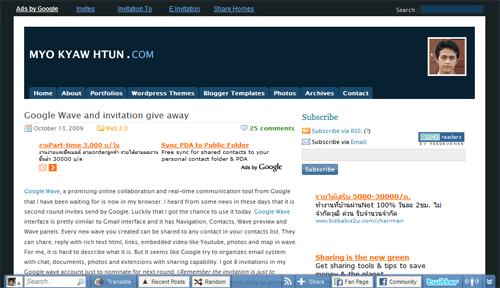 RSS, Share button, Facebook and Twitter make Wibiya widget useful for your blog. Share button allows your visitors to share anywhere like delicious, digg, stumbleupon, etc. Facebook fan and community tool allows Facebook users to become the fan of your blog and they can share any posts of your blog in their profile. Twitter tool, I find is that it is very useful because it allows Twitter users to tweet your posts instantly from your site that can get traffic for your site. Currently, Wibiya is in beta state but you can request to get beta invite (of course, you have to wait for a while). I added it today and will use it for sometimes to see the results. Google Wave, a promising online collaboration and real-time communication tool from Google that I have been waiting for is now in my browser. I heard from some news in these days that it is second round invites send by Google. Luckily that I got the chance to use it today. 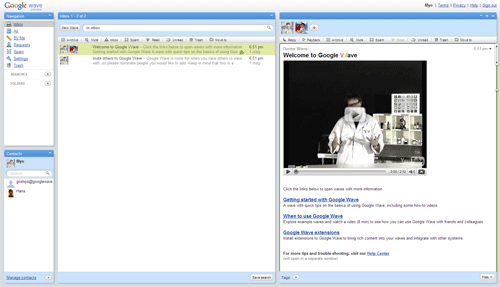 Google Wave interface is pretty similar to Gmail interface and it has Navigation, Contacts, Wave preview and Wave panels. Every new wave you created can be shared to any contact in your contacts list. They can share, reply with rich text html, links, embedded video like Youtube, photos and map in wave. For me, it is hard to describe what it is. But it seems like Google try to organizes email system with chat, documents, photos and extensions with sharing capability. I got 8 invitations in my Google wave account just to nominate for next round. (Remember the invitation is just to nominate so you won’t be able to use Google wave directly but you have more likely to get to access Google wave next round.) 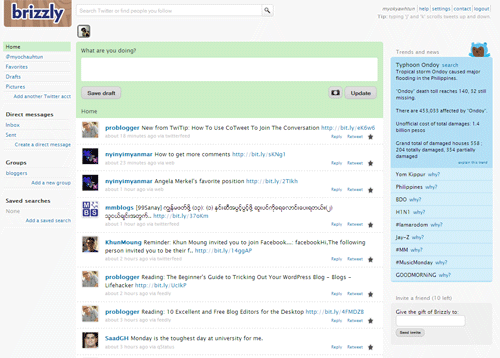 Anyone of you interested to test Google wave, please leave your comments here so that I will sent invitations to you. Hi.im which is similar to card.ly that allows you to put together all your social networking profiles in a one place. 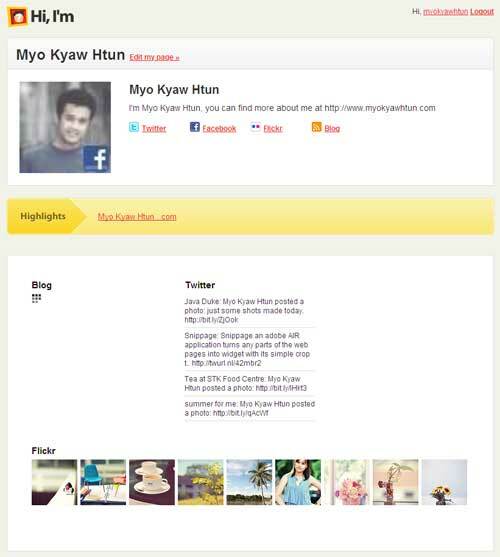 It shows all of your profile links and latest updates from your social profile like Twitter, Flickr and blog posts on your hi.im page. I have got beta invite from Brizzly last week and I have been testing it for sometimes. Brizzly is a web based Twitter application that allows users to upload the pictures on its own server, ability to put the users into group and images and videos like Youtube video link are shown in status messages. Auto updating status is nice as well. Since Brizzly is in beta state, you need to get invitation from it. I have 10 invites from Brizzly. If you want to get invite code, just leave comment with your twitter username. I will sent to you.